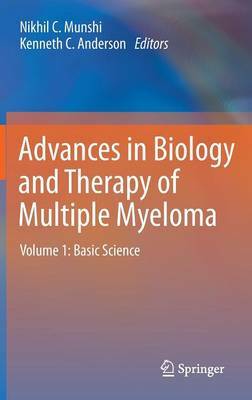 Despite the advances in conventional, novel agent and high dose chemotherapy multiple myeloma (MM) remains incurable. In order to overcome resistance to current therapies and improve patient outcome, novel biologically-based treatment approaches are being developed. Current translational research in MM focusing on the development of molecularly-based combination therapies has great promise to achieve high frequency and durable responses in the majority of patients. Two major advances are making this goal possible. First, recent advances in genomics and proteomics in MM have allowed for increased understanding of disease pathogenesis, identified novel therapeutic targets, allowed for molecular classification, and provided the scientific rationale for combining targeted therapies to increase tumor cell cytotoxicity and abrogate drug resistance. Second, there is now an increased understanding of how adhesion of MM cells in bone marrow (BM) further impacts gene expression in MM cells, as well as in BM stromal cells (BMSCs). As a result of these advances in oncogenomics on the one hand and increased understanding of the role of the BM in the pathogenesis of MM on the other, a new treatment paradigm targeting the tumor cell and its BM microenvironment to overcome drug resistance and improve patient outcome has now been developed. Thalidomide, lenalidomide, and Bortezomib are three agents which target the tumor cell in its microenvironment in both laboratory and animal models and which have rapidly translated from the bench to the bedside. Ongoing efforts are using oncogenomics and cell signaling studies to identify next generation of therapies in MM on the one hand, and to inform the design of combination trials on the other. This new paradigm for overcoming drug resistance and improving patient outcome in MM has great promise not only to change the natural history of MM, but also to serve as a model for targeted therapeutics directed to improve outcome of patients with MM.